It was nice to see the flowers blooming in London. 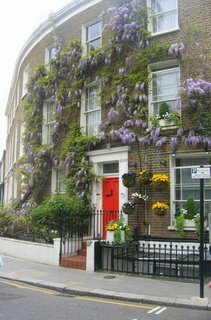 Londoners find great ways to dress their homes with color and blooms. That is gorgeous! Thanks for sharing it. Wow. THAT is a beautiful wisteria! So beautiful. 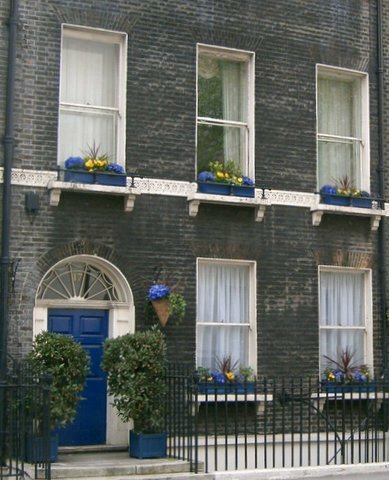 I love seeing the juxtaposition of flowers and bricks.